On the Aundh-Baner link-road, we found a super pretty bistro and it is all about fast food menu and yummy mocktails. 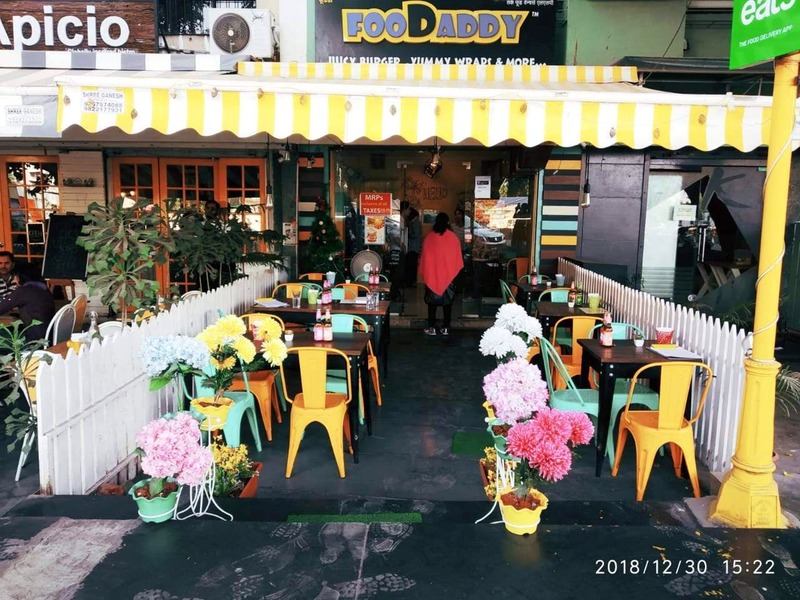 Foodaddy is an Instagrammable cafe with vibrant yellow decor and floral stands. It has a food-truck -type menu and we are not complaining. The chefs here are known for adding delicious flavours to the regular pasta, sandwiches and burgers. They have their own variants of wraps and sandwiches called wrapwiches. For food, we had the veg pink sauce pasta and a bhuna chicken wrap in alfredo. While the pasta was on a tangier side (as it contained lots of tomatoes), the wraps had absorbed the flavours of the charcoal-smoked chicken. For those who love eggs, they have many egg dishes that come with hash browns and coleslaw, Did you know the place has amazing options for mocktails? We tried the pink & orange mocktail that had the goodness of several juices concocted together. The best part is that the rates are inclusive of taxes. If you pair up your food with a drink and create your combo, they offer you a discount of 20%. When you are dining there, do not forget to pick up the breakfast card from your table which allows you to enjoy a scrumptious English breakfast for just INR 100 per person on weekends. They told us that they are revamping their menu and we wish they come up with many more combo options.